#A045 Primitive Stitchery Pattern "Anna" Americana Angel! 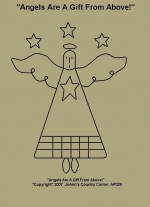 Primitive Stitchery Pattern"Anna" Americana Angel! #A058 Primitive Stitchery Pattern "An Angel Gets Her Wings Everytime A Bell Rings!" 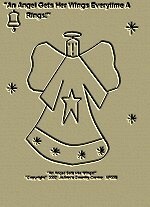 Primitive Stitchery Pattern "An Angel Gets Her Wings Everytime A Bell Rings!" #A059 Primitive Stitchery Pattern "Angels Are A Gift From Above!" 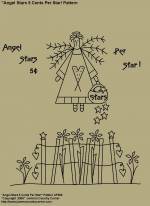 Primitive Stitchery Pattern"Angels Are A Gift From Above!" #A068 Primitive Stitchery Pattern-Prim "Angels Gather Here!" "Angels Gather Here"! Pattern measures 6" x 7 3/4". #A076 Primitive Stitchery Pattern-Prim "Mother's of Little Boys!" "Mother's of little boys, Work from son up, Till son down!" AP037 Pattern measures 6 3/4"x 8 1/4". 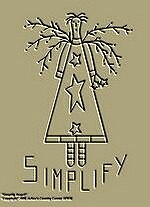 #A075 Primitive Stitchery Pattern-Prim "Simplify Angel!" "Simplify Angel!" AP038 Pattern measures 5 1/4" x 8 1/4". #A096 Primitive Stitchery Pattern, Prim "Three Little Angels!" "Three Little Angels!" AP049 Primitive Stitchery Pattern measures 5 1/2" x 6 1/2". Each�Angel holds a sign that says, "Believe, Peace, Rejoice". 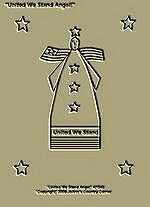 #A097 Primitive Stitchery Pattern, Prim "United We Stand Angel!" "United We Stand Angel!" AP048 Primitive Stitchery Pattern measures 5 1/2" x 7 1/4". 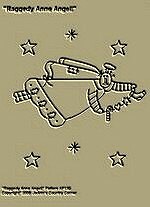 #A134 Primitive Stitchery Pattern Primitive "Believe Star Angel!" 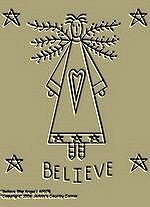 Primitive Stitchery Pattern Prim "Believe Star Angel!" measures 7 1/4"x 8 1/2". #A195 Primitive Stitchery Pattern, "Raggedy Anne Angel!" Primitive Stitchery Pattern, "Raggedy Anne Angel!" 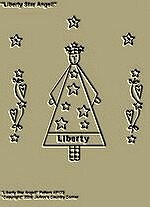 #A257 Primitive Stitchery Pattern, " Liberty Star Angel!" 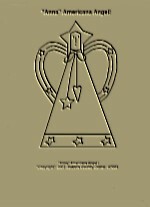 Primitive Stitchery Pattern "Liberty Star Angel!" Measures 6 1/2"x 7". 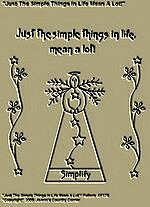 #A262 Primitive Stitchery Pattern "Just the simple things in life mean a lot! Primitive Stitchery Pattern, "Just the simple things in life, mean a lot! Measures 6 3/4"x 7 ". #A269 Primitive Stitchery Pattern, "A heart that gives, also gathers!" 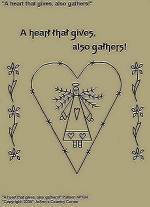 Primitive Stitchery Pattern, " A heart that gives, also gathers! 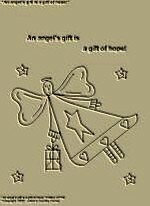 #A277 Primitive Stitchery Pattern, "An angel's gift is a gift of hope!" 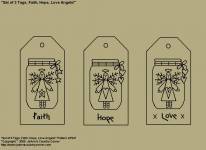 Primitive Stitchery Pattern, "An angel's gift is a gift of hope!" 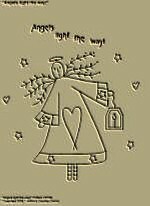 #A278 Primitive Stitchery Pattern, "Angels light the way!" 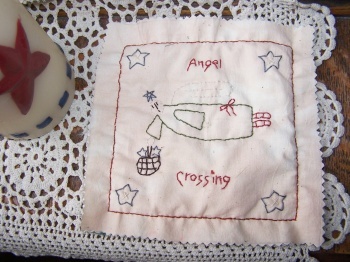 Primitive Stitchery Pattern, "Angels light the way!" #A306 Primitive Stitchery Patterns, " Set of 3 Primitive Tags, Joy Angel, Heart Angel, Love Angel! Patterns! 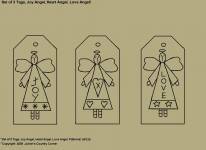 Primitive Stitchery Patterns, "Set of 3 Primitive Tags,�Joy Angel, Heart Angel, Love Angel!" Patterns. Tags measure 2 1/4" x 4 1/2". 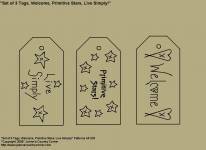 Primitive Stitchery Patterns, Set of 3 Primitive Tags, "Welcome, Primitive Stars, Live Simply". Tags measure 2 1/4" x 4 5/8". Primitive Stitchery Patterns, "Set of 3 Primitive Tags, Faith Angel Canning Jar, Hope Angel Canning Jar, Love Angel Canning Jar. Pattern measures 2 1/4" x 4 5/8". 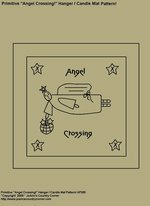 #A383 Primitive Stitchery Pattern, "Angel Crossing!" Hanger / Candle Mat Pattern! Please click on pattern to see a picture of the finished stitched Candle Mat, stitched by Jo-Ann Fortin. Finished Mat can hang with Homespun Material. Measures 6 1/2"x 6 1/2". #A453 Primitive Stitchery Pattern, "Angel Stars 5 Cents Per Star! Measures 7 1/4" x 8".